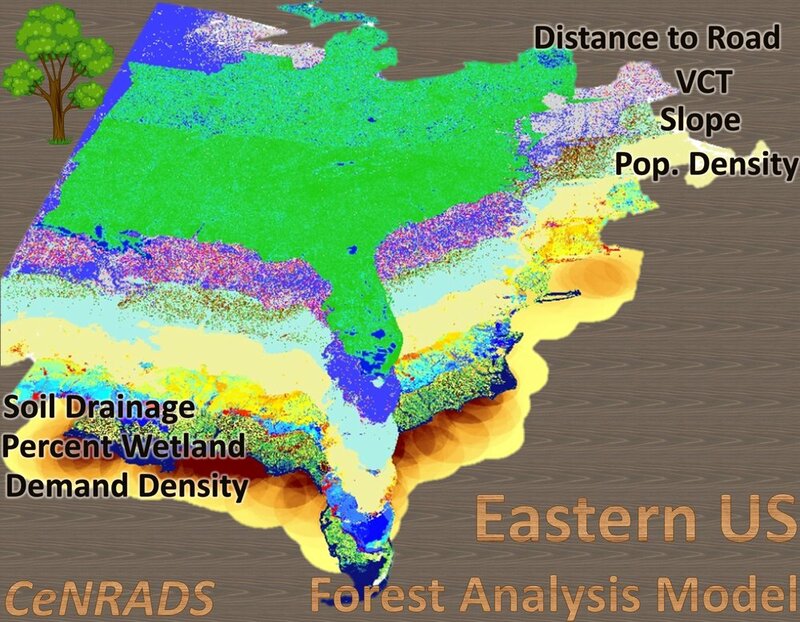 This geospatial analysis model was conducted to determine the state of our nations eastern forests. This multi-layer model aimed to monitor forest loss while also influencing key decision makers such as loggers, millers, policy makers, and conservation specialists that use biomass (or trees) as a resource. Which we humans use more and more of everyday. With climate change a growing global concern, sustainable forest management is key to ensuring the longevity of one of our most important assets for carbon sequestration. Forests are essentially the lungs of our living planet as they store carbon dioxide as they grow. This model used layers such as population density, proximity to wetlands, soil retentiveness (drainage capacity), slope, and 28 year vegetation change indices as well as stakeholder (mill) demands and proximity to roads (including other networks used to carry the product such as railroads) to access the current conditions and estimate future conditions for one of our most valuable tools. Each layer is comprised of 30 by 30 meter pixels that represent a value and are differentiated by color. For instance, a high number in the slope layer may be given a darker color, therefore, flatter areas may appear as a lighter shade compared to steeper areas. Another example, darker colors in the population or demand density layer means more people or demand per square mile compared to more sparsely populated lighter colored areas. These layers can be combined together to show forest and biomass availability to influence decision makers and others involved. John Hansen's Global Forest Watch does similar observations but at the global level to better monitor deforestation and illegal, ungoverned operations occurring in places like the Amazon Rain Forest, Congo Basin, and Indonesia which all provide the exponentially growing globalized world with paper and packaging products as well as lumber/timber used in building construction. These are the top words scrapped from real Tweets from people all over the world. 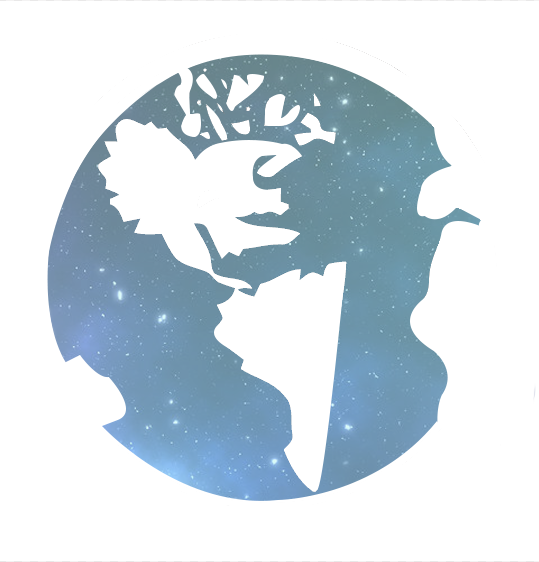 The “scrape” lasted for 5 hours on Earth Day in 2018 and collected thousands of tweets containing the word “Earth”. These were then cleaned and organized to give an idea of how people perceive this day. When you combine my knowledge and skills with my desire to help my community and beyond, you inevitably end up with a bigger picture, in this case, "Earth," which includes all life (represented by a tree). As seen to the left, I combined the Hokie and outline of Virginia to appear as North and South America to make up a "bigger picture.” Who I am, what I do, and what I wish to do comes down to stronger communities, more empathetic societies, and a world built on sustainability & protection of its natural resources/human life accompanied by a world that meets the needs of the present without compromising the needs of future generations.